In a new study, researchers evaluated cells that experienced sustained exposure to a vitamin C derivative. They found that the vitamin C helped activate several genes responsible for skin regeneration. If you are 35 years old or older and aren't yet using a vitamin C serum, you should be. Researchers are constantly uncovering new benefits of this powerful vitamin, dating back to their discovery of it as a solution to scurvy. You may not think scurvy has much to do with your skin's appearance, but the sailors who suffered from this life-threatening gum disease many years ago would disagree! They were thrilled to discover that fruits containing vitamin C helped them avoid this malady as they traveled. 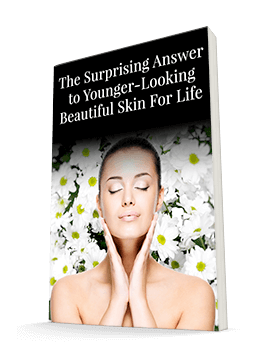 And I think you'll also be thrilled when you understand why it worked and what it means for your skin. The reason that sailors' gums wasted away when they didn't have any vitamin C was that without it, their bodies couldn't make sufficient collagen. 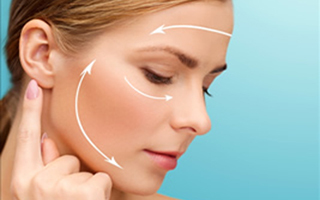 And as you know, if you want youthful-looking skin, you need to maintain your collagen production as you age. Vitamin C can help you do that. And even better, according to research published in the journal Free Radical Biology and Medicine, it can help you reverse DNA damage, which causes skin-aging. Scientists have known for some time that vitamin C promotes wound healing and can help protect cells from DNA damage. It's very exciting to know that it can also help reverse this damage once it's happened. DNA damage not only hurts our appearances but also makes us more vulnerable to skin cancer. So this is great news. In this particular study, the researchers evaluated cells that experienced sustained exposure to a vitamin C derivative. They found that the vitamin C helped activate several genes responsible for skin regeneration. Since vitamin C has both protective and restorative properties, here's how you can maximize vitamin C. Simply apply it at the beginning of the day as part of your defense strategy. Then apply it again the evening after you have cleansed your skin. The vitamin C will help your skin recover from damage caused by environmental exposure. You also want to be sure that your vitamin C comes in a bottle with a pump, not a jar that opens and closes. That's because exposure to air and light decreases its efficacy. Every time you open that jar, it causes the vitamin C to deteriorate. We kept this in mind when we designed the Système 41 Vitamin C Serum, a revolutionary product that helps to maximize the skin's natural immune function. We also made sure to include hyaluronic acid, which holds moisture in the skin to make fine lines and wrinkles less visible, improves skin elasticity, and keeps the vitamin C from drying your skin out. This serum will gradually, safely, and effectively reduce visible signs of aging and protect the skin from environmental assault. This is thanks to vitamin C's natural collagen-boosting properties. You'll find that it leaves your skin with an immediate glow and helps it become more hydrated, healthier, and younger-looking over time.